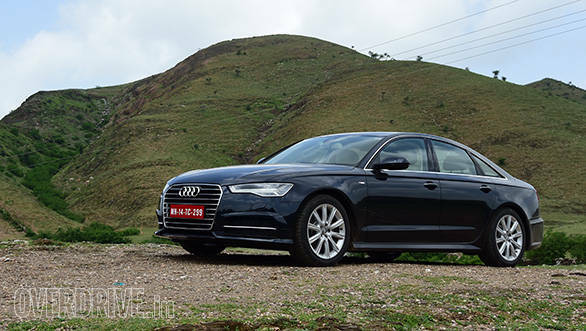 Audi recently launched the new facelift Audi A6 Matrix. 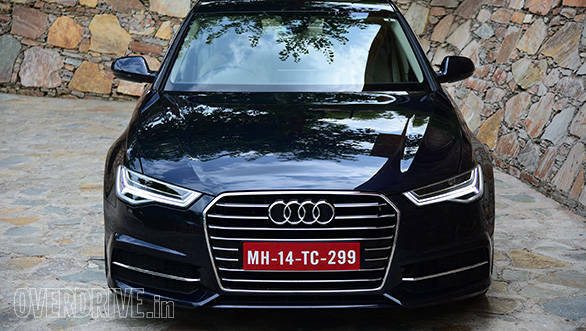 The Matrix of course refers to the Matrix headlamps that were first seen in the Audi A8. These are a direct evolution of Audi's LED headlights with the high-beam comprising of 19 small, individual light-emitting diodes per unit that can be switched on and off or dimmed individually as needed. Along with the four reflectors, they deliver a phenomenal 966,105,422 different road illumination configurations! This enables the headlight system to react to oncoming or preceding vehicles and blank out light with great precision while continuing to fully illuminate the rest of the road. As soon as the cameras in the A6 detect another oncoming vehicle, the new headlights switch off or dim individual LEDs within them in the blink of an eye. Oncoming and preceding vehicles are thus excluded from the beam of light and are not blinded, while all other areas between and adjacent to them continue to be fully illuminated. After the oncoming traffic passes, the high beam once again illuminates the previously excluded areas with full power. 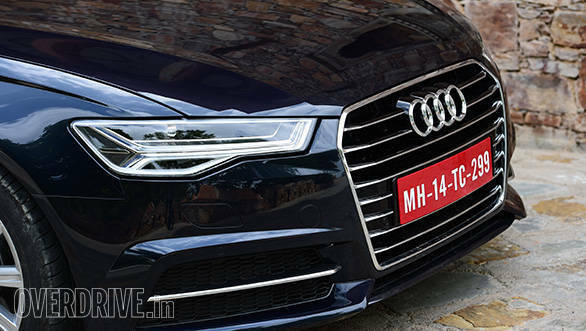 The A6's new headlights provide a good solution as they not only are friendly to oncoming vehicles, but at the same time they also illuminate more of the road ahead. Other than the headlights, the A6 also has some other new bits. The single frame grille at the front is wider and its six corners are somewhat more striking. The bumper has also been redesigned and the trim stripes over the side windows are in high-gloss black. 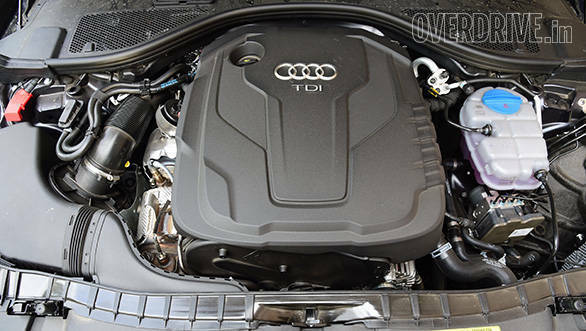 Audi say the 2.0-litre TDI engine now generates 190PS with power output having increased by seven percent and fuel efficiency by five percent. They also say the 7-speed automatic transmission is new. On the inside, I really like the new matte textured wood trim and the chunkier gear knob. But the highlights for me continue to be the A6's overall size. With a length of 4.93 metres and width of 1.87 metres, it's neither small nor very big. In my opinion, it's just the ideal size luxury car for Indian driving conditions. The adaptive air suspension also ensures it offers very good ride comfort and suppresses almost all road irregularities in an appreciable manner. Even in the dynamic mode which offers sportier engine response and tighter body control, the ride quality is not too stiff or jarring. I particularly like the custom feature where you can customise the driving mode and ride comfort mode to your preferences. I like driving it with the steering made a little stiffer and the ride softer. It's a good combination for fast driving, without being bounced around. The Bose Surround Sound System with 600-watt output is very impressive. As is the 530 litres of boot space. 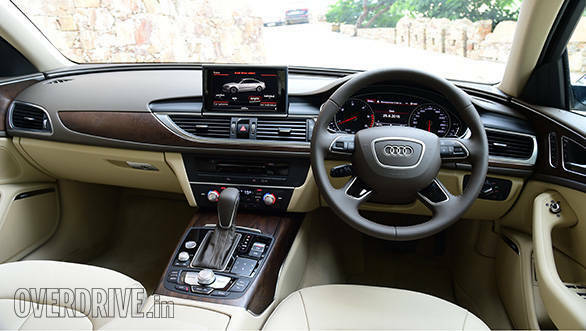 For now, Audi is only offering the A6 with the 2.0-litre TDI diesel engine and front wheel drive. Yes, the Quattro all wheel drive system is not available. 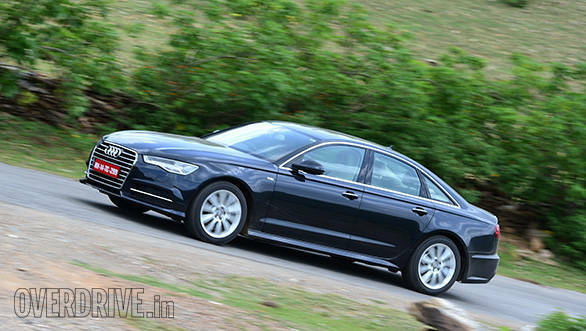 The facelifted A6 is priced at Rs 49, 50,000 ex-showroom New Delhi and Mumbai.